The Volkswagen logo on the grill of a car. Volkswagen AG said Tuesday that some 11 million diesel vehicles worldwide were fitted with software at the center of a U.S. emissions scandal, and that it is setting aside around 6.5 billion euros ($7.3 billion) to cover the fallout. In the wake of the company's statement, the share price of the world's top-selling carmaker took another battering. In midday trading in Frankfurt, VW's share price was down another 18.8 percent at 108.45 euros and near a four-year low. The fall comes on top of Monday's hefty 17 percent decline. 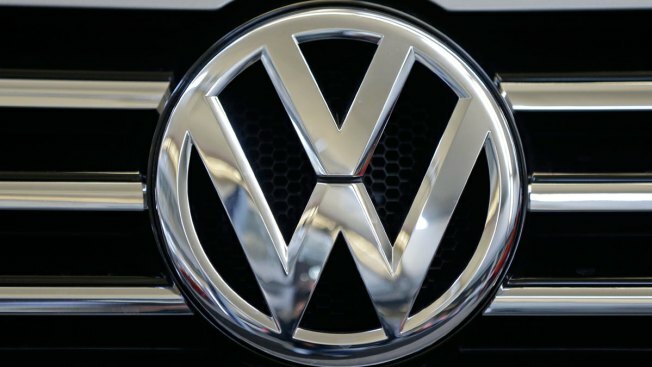 In its statement Tuesday, Volkswagen gave more details, admitting that "discrepancies" related to vehicles with Type EA 189 engines and involved some 11 million vehicles worldwide. "A noticeable deviation between bench test results and actual road use was established solely for this type of engine," it said. "Volkswagen is working intensely to eliminate these deviations through technical measures." To cover the necessary service measures and what it says are "other efforts to win back the trust of our customers," VW said is setting aside some 6.5 billion euros in the current quarter. That figure, it conceded, may be subject to revaluation in the light of ongoing investigations. As a result, it said 2015 earnings targets will be adjusted but didn't specify by how much. It added that the software is also installed in other vehicles with diesel engines but that that for the "majority of these engines the software does not have any effect." VW's are not confined to the U.S., though. South Korea said Tuesday it would investigate emission levels of Volkswagen diesel vehicles in the wake of the rigging scandal in the U.S. that's heaped pressure on CEO Martin Winterkorn. The German government is to also conduct new emissions tests in VW's diesel cars, while France called for a wider Europe-wide investigation into Volkswagen's practices — and into those of French carmakers.